PNAA: Spirit Dancer Alpacas is a farm located in Moses Lake , Washington owned by Diana and Chris Jimenez. 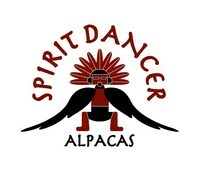 Spirit Dancer Alpacas is located in Moses Lake, WA. We have both Suri and Huacayas Alpacas. We have been building our herd over the last several years and are pleased with the outcome. We are participating in the EPD program and are delighted with our results. We are breeding for high quality fiber with dams who birth easy and can put the pounds on their cria! Our males are gentle and easy to work with while maintaining that beautiful fiber. Call or visit...we LOVE to talk Alpaca!